The Power of Light! 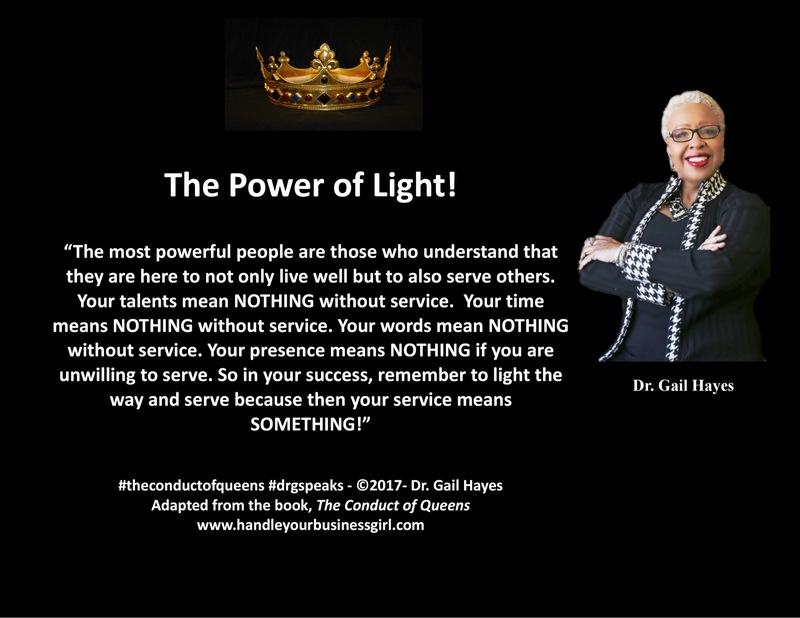 | Dr. Gail Hayes & Dr. G Speaks! 2 Responses to The Power of Light! Hi Ms Floyd!!! If you haven’t already, please join my list. I am launching an online course on Leadership on Wednesday which will also give you the option to become a Leadership Coach, personally trained by me. Thank you so much for making my day and leaving such a precious comment!